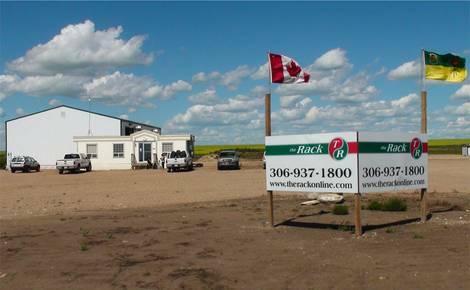 Rack Petroleum's North Battleford office is located just outside City of North Battleford on Hwy 16, Saskatchewan. Rack Petroleum's North Battleford office is located just outside City of North Battleford on Hwy 16. Rack Battleford handles bulk fuel orders and deliveries as well as oil sales out of this office. All agronomy and crop protection related inquiries are handled here too. Physical Address: 5 minutes East of North Battleford along Highway 16 East, turn North on East Hill Road and take your first left, we are beside Norsask Farm Equipment).